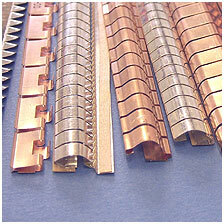 Finger strip gasket or (spring) finger contact strip are usually manufactured from beryllium copper foil. 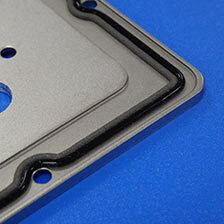 Gasket profiles are resilient / compliant and can provide very low contact resistance between mating faces providing excellent EMI shielding performance. Profiles are available that are capable of coping with comparatively large variations in seam (gap) width. 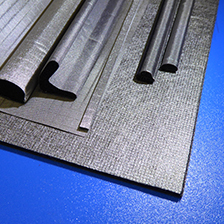 Very low closure force sections fabricated from light gauge foil are available. 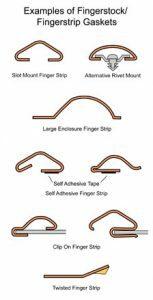 One key benefit of finger strip is that ‘D’ or curved profiles may be used in applications where there is a wiping or shear action on the gasket e.g. sliding door. Various plated finishes are available (e.g. 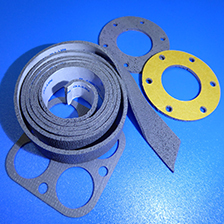 tin, zinc, nickel) that can improve electrical contact properties, corrosion resistance, or improve wear characteristics. Most sections are based around a ‘D’ profile. There are multiple variants in terms of size (profile height), design features, and mounting methods. 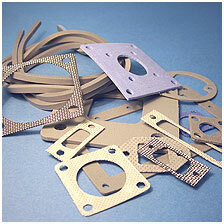 Most commonly these include, self adhesive, clip on, rivet mount, slot mount or solder in place. We have some sample profile drawings below or a more comprehensive list can befound here. Finger strip sections are generally only suitable for indoor or controlled environments unless used inboard of suitable environmental protection. Single fingers or strip sections can be used for grounding or connection points.